District 12 may also refer to a fictional location in The Hunger Games universe, or to other 12th legislative districts. District 12 (Vietnamese: Quận 12) is an urban district (quận) of Ho Chi Minh City, the largest and most populous city in Vietnam. As of 2010, the district had a population of 427,083. The district covers an area of 53,0 km². The district is divided into 11 small subsets which are called wards. 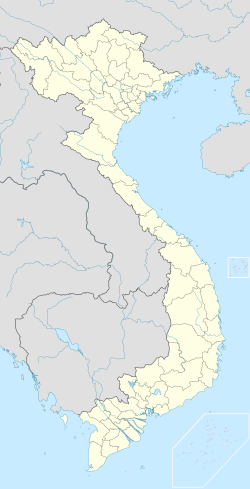 It borders Hóc Môn District to the north, Thủ Đức District and Bình Dương Province to the east, Bình Tân District to the west and Tân Bình and Gò Vấp districts to the south. The Vietnamese government has arranged for high speed internet to be wired to the area. The city opened in 2001 and housed 20,000 people in 2010. In order to facilitate use of this resource a number of laws have been set up. Companies are tax-exempt for their first four years after making a profit, and then only charged 50% of their normal taxes for the next nine years after their exemption. Overall taxes for the area are 10% for the first 15 years of the city, and 25% after that. Imported materials used for software production are import-tax free so long as they can not yet be used domestically. Exported software products are export-tax exempt. A Value Added Tax is also waived for exported software and domestically consumed software. 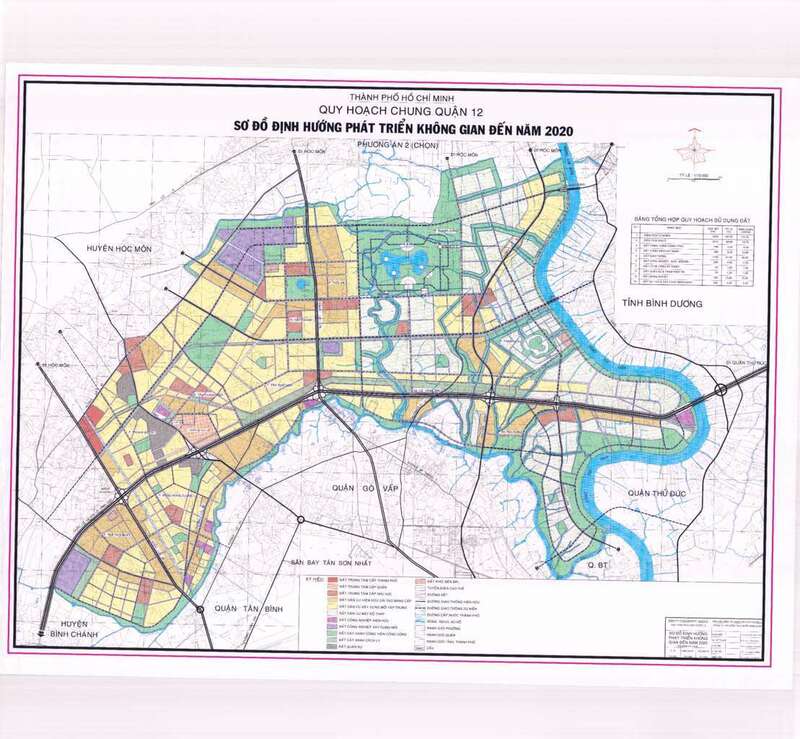 Form the government planning map up to 2020, the district includes: Tan Thoi Nhat Ward; Dong Hung Thuan Ward; Trung My Tay Ward; Tan Chanh Hiep Ward; Tan Thoi Hiep Ward; Hiep Thanh Ward; Thoi An Ward; Thanh Xuân Ward; Thanh Loc Ward; An Phu Dong Ward . Special privileges are available to foreigners who are involved in a city project, particularly in getting visas and in buying or renting houses. Another part of the government incentives includes a cloud computing platform for use by local companies. ^ a b "HCMC's Population and population density in 2010 by district". HCMC Office of Statistics. Retrieved Feb 4, 2014. ^ "Quang Trung Software City". Quang Trung Software City. Archived from the original on September 23, 2010. Retrieved December 28, 2010. ^ "Quang Trung Software City". Quang Trung Software City. Retrieved December 28, 2010. ^ "Government Incentives". Quang Trung Software City. Archived from the original on December 19, 2010. Retrieved December 28, 2010. ^ "MAP". MAP. Archived from the original on October 21, 2013. Retrieved October 21, 2013. This page was last edited on 15 February 2019, at 03:35 (UTC).